Now that holiday cards are out I can share more from our sessions! These beautiful people are neighbors and friends (we share a back yard!). Nicki is one of the most stylish gals I know and her daughter is following right in her footsteps. Someday I’m going to hire her to decorate my home – she has great taste. I shared one of her Pinterest worthy parties on the blog earlier in the summer and every party that has followed does not disappoint. 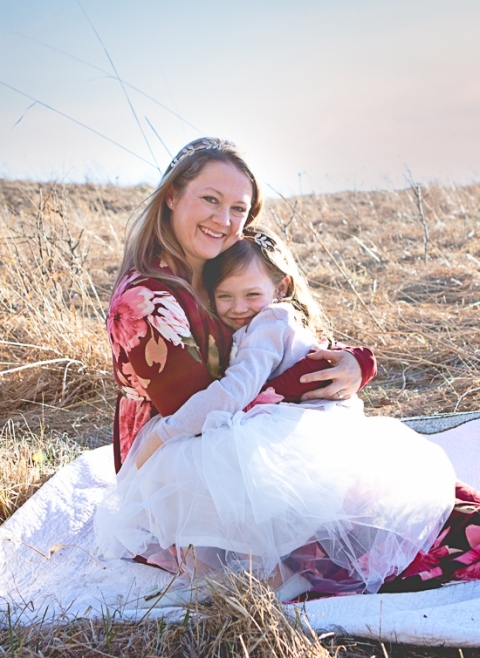 So, naturally I was super excited when she asked me to do their fall family photos. I knew that they’d be perfectly coordinated and beautiful. We had to squeeze things in between piano recitals and home projects but thankfully we live in a neighborhood that has some beautiful backdrops. We didn’t have to travel far; a whole 20 steps across the street over to the lake! We even included their newest family member – Zoey the lab who was a perfect model in her Santa hat. I’m so thankful to have friends and neighbors that trust me to capture their family moments!